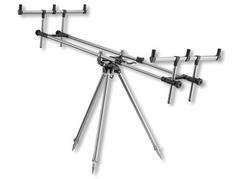 The sophisticated Pro Carp Gun Pod is designed for the use of 3 rods. 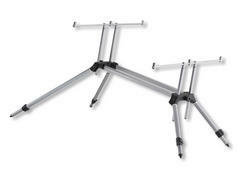 The telescopic legs provide a safe base also on uneven ground. Thanks to the centered fixation screw, the pod is installed extremely fast and solid and the propensity can be adjusted. Thus, this pod is both suited for carp fishing at lakes as well as at currents. The 3-rest Rod Pod model 81004 is a very lightweight and solid pod, which can be installed quickly and is excelled by its high toughness. 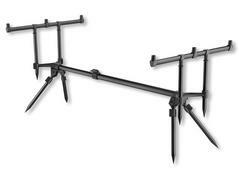 Due to the variable legs and feet, it adapts easily to different ground and is perfectly fitting all rod lengths. 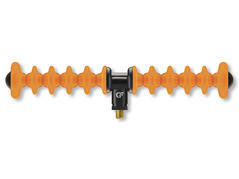 Delivered with 3 rod rests, the lengths of the buzzer bars are adjustable. 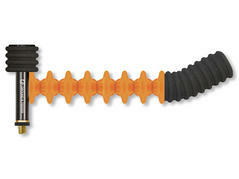 The aluminum bars are specially coated and extremely resistant against impacts and shocks. 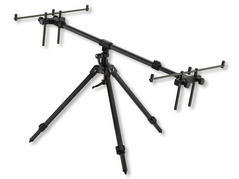 This tripod for 2 rods guarantees the highest stability even in rough conditions. Easy to transport as it is made from aluminium. 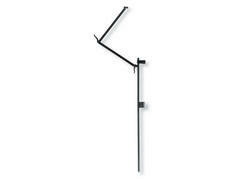 The telescopic legs are adjustable up to 1.80m and are fixed easily and slip proof with quick snaps. 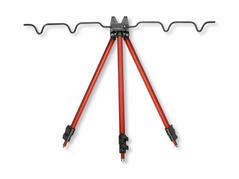 In the point of this tripod a hook is attached to fix a sand bag for stabilization, if needed. 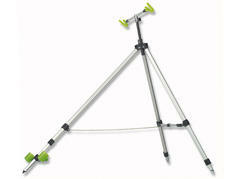 Three-piece telescopic tripod made of aluminium. 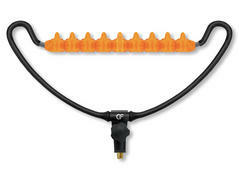 Thanks to the exact thick rubber coat, the rods are optimally protected from damage. Height adjustable from 50-110cm. Ideal for feeder fishing. Feeder rod rest for 10 rod positions. Feeder rod rest with turnable rod rest.